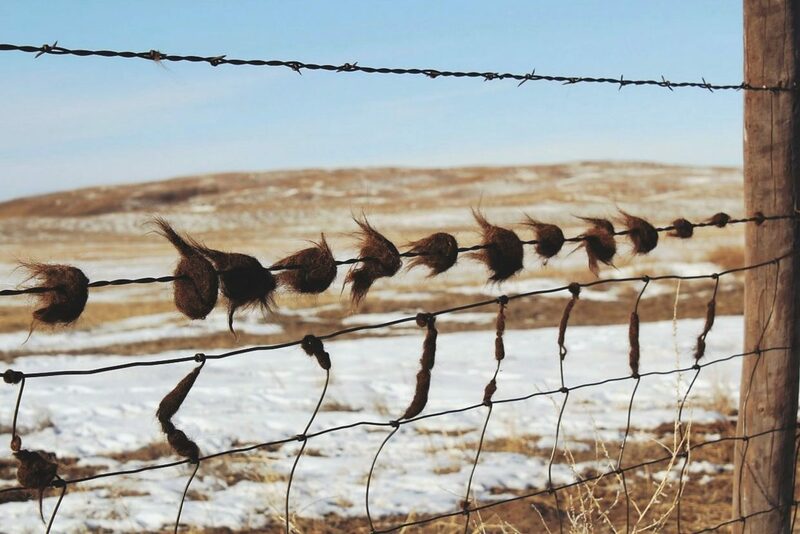 Cattle with hair loss, an unthrifty appearance, and leaving hair on fences and other objects from rubbing may be a sign of lice infestation. However other factors can mimic lice infestations such as natural shedding, poor nutrition, mite infestations, mineral deficiency, photosensitivity and other diseases. 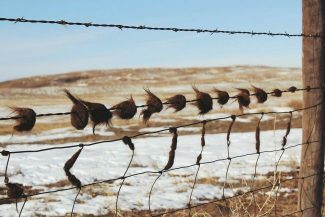 To determine if lice is the problem, secure the suspect animal(s) in a chute and perform a two-handed hair parting on the top line, withers and face. Lice numbers between one to five per square inch represent a low population, six to 10 per square inch represent a moderate population, and more than 10 lice per square inch is considered a heavy population. In Nebraska, we can encounter four different cattle lice species. The biting or chewing louse (little red) Bovicola (Damalinia) bovis, are reddish brown in color with dark bands running transversally across the body. Typically the chewing louse feeds on hair, skin, skin exudates and debris near the skin surface. This species is initially found on the shoulder, top line, and back, but as populations increase, can be found on the sides and sometimes over the whole animal. This species of louse does not require a male for eggs to be fertilized. The other three species are sucking lice, which feed on blood, and can cause irritation, anemia, impact weight gain and even death in extreme cases. The short-nose cattle louse, Haematopinus eurysternus is the largest louse at 3-5 milimeters in length and is typically found on older animals, but can be found on any age or breed of cattle. This species can usually be found in the neck region, dewlap, back and base of tail. The lifecycle, from egg to egg laying adult averages about 28 days with eggs normally hatching in 13 days. The long-nose cattle louse, Linognathus vituli is about 2.5 mm in length, bluish in color and differs from other louse species by its long slender head. This louse can be found on the dewlap, shoulders, sides of neck and rump, but when numbers are high, they can be found over the entire body. Their lifecycle from egg to egg laying adult normally takes 25 days. The little blue cattle louse, Solenopotes capillatus is about 1-2 mm in length, bluish in color, and smallest of the sucking lice species. It often can be found in dense patches on the dewlap, muzzle, around eyes and neck. The lifecycle from egg to egg laying adult normally takes between 21 to 22 days. Heavy populations can greatly impact cattle weight gains. University of Nebraska and other studies indicate heavy lice populations may reduce weight gains by as much as 0.21 pounds per day. These studies also indicate calves fed at a higher nutrition level had lower lice populations and were affected less severely by lice than calves fed a maintenance ration. Cattle louse treatment products fall into several categories: animal sprays, nonsystemic (contact) pour-on and endectocides (systemic pour-on, absorbed internally and systemic injectable). Some nonsystemic pour-ons require just one application and some require two applications spaced 14 days apart. Systemic injectables work better on the three species of sucking lice than on the little red chewing louse. A systemic pour-on effectively kills both chewing and sucking lice. Use of systemic control products between Nov. 1 and Feb. 1 is not advised as they may cause a host-parasite reaction from killing developing cattle grubs while they are in the esophagus or spinal canal of the animal. A systemic product used during fall weaning will not be a problem. Producers who did not use a systemic during fall weaning, should consider using only nonsystemic control products during this November to February time frame. Successful louse control depends on application timing. Many livestock producers will administer an endectocide treatment at weaning time, usually late September or October with intentions of controlling internal parasites, cattle grubs and cattle lice. These fall applications may help reduce lice populations, but may not remove the infestation. A warm extended fall, like the one we experienced this year, may slow down developing lice numbers. Livestock producers who use this management strategy should monitor their cattle for signs of lice especially during the months of December, January and February. If replacement animals are brought into a herd during the winter months they should be examined for lice. If present, the animals should be isolated and treated before introduction into the existing herd. When applying any insecticide control product, please read and follow label instructions.